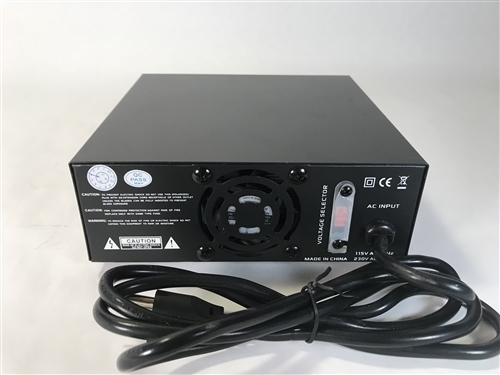 BRAND NEW DELTA DPS22 22 amp surge 20 amp constant power supply which is perfect for use with your 12 volt DC electronics in your home with either 110v power. 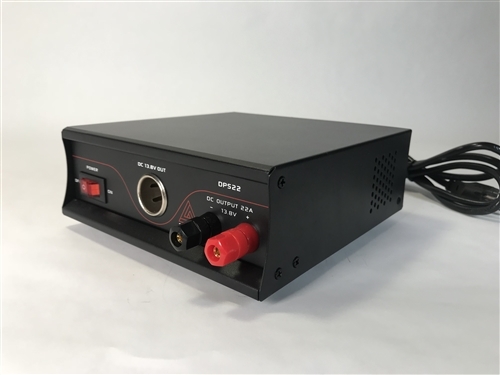 Great for use with your Ham/CB Radio, Linear amplifiers and Car stereo equipment. 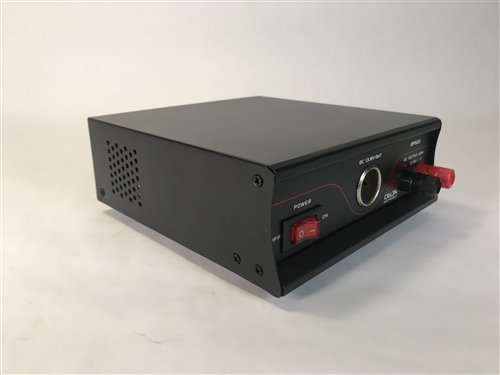 If you are looking for a great design, well made heavy duty power supply in a SUPER compact size (7.25" x 7.25" x 3"), then this is the one for you! The size is no bigger then a BIBLE!!! Perfect for your work bench or radio station desk!! FREE USPS PRIORITY 2-3 DAY SHIPPING TO ALL 50 STATES AND PUERTO RICO!!!!! 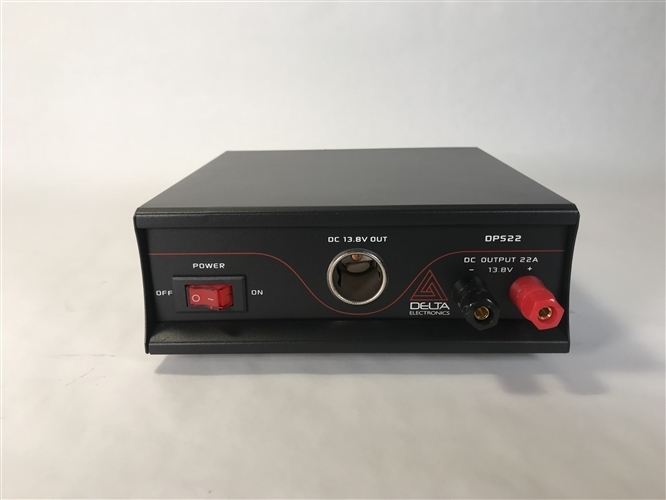 The NEW DELTA DPS22 power supply is a high efficiency, compact, lightweight, high performance switching power supply with built in COOLING FAN! Engineered like all other great DELTA products with specifically radio operators in mind! Engineered to minimize noise from the power source that would otherwise be heard during communication use with your HAM or CB Radio equipment. With convenient features like a BUILT IN COOLING FAN, front cigarette lighter input and front positive/negative terminals. Perfect compact size packing 22 amps of 13.8vdc power! Strong enough to power nearly all your 13.8vdc items while not taking up all your space and weight 40 lbs!!! Front facing Cigarette lighter port allows you to easily and conveniently charge phones or accessories!! If you have any questions please feel free to email me and we will respond immediately. Please take some time and browse through our store for even more items!! Everything from our new DELTA M2 Base Mic to coax of all lengths and sizes! !